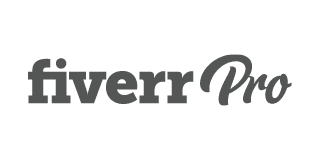 Our detailed review of Fiverr – the pro version – one of the most popular freelancers platform that connects you with the thousands of talented freelancers in various categories and now with pro skills. Fiverr is a popular international marketplace that can help you hire a talented freelancer in one of the following categories: graphics & design, digital marketing, writing & translation, video & animation, music & audio, programming & tech, business, or fun. The site originally launched by offering various service at an extremely low cost of only $5 (hence it’s name) but during June 2017, and growing demand from entrepreneurs for bigger and more complex projects – the site added an additional more professional tier to their service called: Pro Services. Although the site is still very much famous and widely used due to it’s original $5 offering – it has grown even more popular through the pro services tier which connects business owners and entrepreneurs with handpicked vetted talent that can deliver great results. Founded in 2010 out of Tel Aviv, Fiverr quickly turned into one of the biggest online marketplaces for freelance services. With the site available in five languages, it connects freelancers and clients from around the world for a wide variety of services. For this Fiverr review, we took a closer look at how hiring works on this site. The general framework is what we’re going to call an “Amazon” style—a style where the buyer can browse different profiles for sellers and then place an order with the chosen seller that has specific requirements and a delivery date. There are a few tools to help the buyer pick the right freelancer. First, the sellers are divided based on the type of work they perform. By browsing through the categories and sub-categories, buyers can find sellers that specialize in exactly what they need. From there, it is important to consider the four different levels of Seller (Level One Seller, Level Two Seller, Top Rated Seller). The higher the level of the seller, the more experienced and successful they have been on Fiverr. Recently, Fiverr added a fifth designation, Pro, which indicates that the seller was vetted by the site itself, making it the highest level. The seller level, combined with reviews on their profile from former clients, are the main tools buyers can use to be sure they hire the right freelancer. Each seller also answers some FAQs on their page which can help you narrow down your choice. Once you select a seller, it’s time to choose which package you want. Each seller will have three packages available for purchase—Basic, Standard, and Premium—with different prices, delivery times, and descriptions. Basic packages start at $5, but it is up to each seller how they price their packages, so it will vary dramatically. Once you choose your package, there may also be extra services that you can add for smaller fees if you so choose. If you want more information before placing an order, there is a “Contact Me” button on each seller’s profile that can allow you to communicate requirements or questions before ordering. Once you make your choice, you place the order with your chosen seller, including specifics of exactly what you’re looking for, and the seller will send you the final product, whatever that looks like. It’s important to pay attention to the specifications of the order, as this is where sellers will specify how any revision process will work and what guarantees they offer. Disagreements can be settled through the Fiverr Resolution Center, but for the most part, these agreements are between the two parties, so be sure to read the order carefully before placing it. Overall, this review puts Fiverr as a solid choice for your freelance needs. Unlike elite sites like Toptal, Fiverr is a much more basic freelance marketplace, so it requires more research from the buyer to find the right person, but the site has all the right resources in place to help you. Their rating system, reviews, FAQs, and more can give you a really good idea of who you’re hiring before you place your order. The selection of sellers is so wide that anyone should be able to find a freelancer who meets both their needs and their budget. If you’re willing to spend some time doing a bit of leg work, Fiverr is a great way to find the next person to help you with business or personal tasks.